We cannot succeed in diverting recyclables from landfill unless they are properly separated. 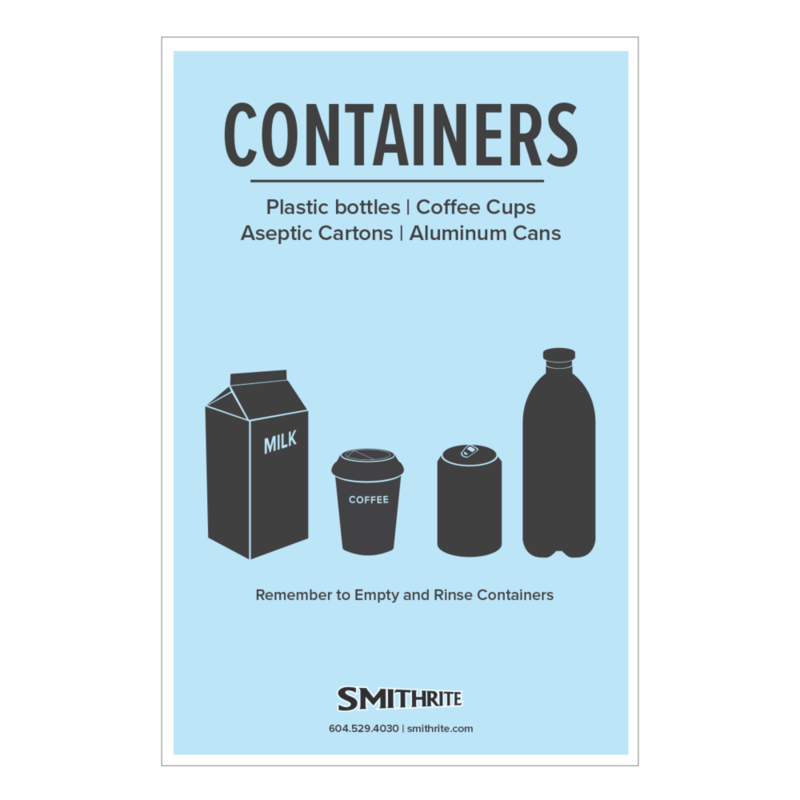 To make this easier for you, Smithrite offers signage and recycling guides. 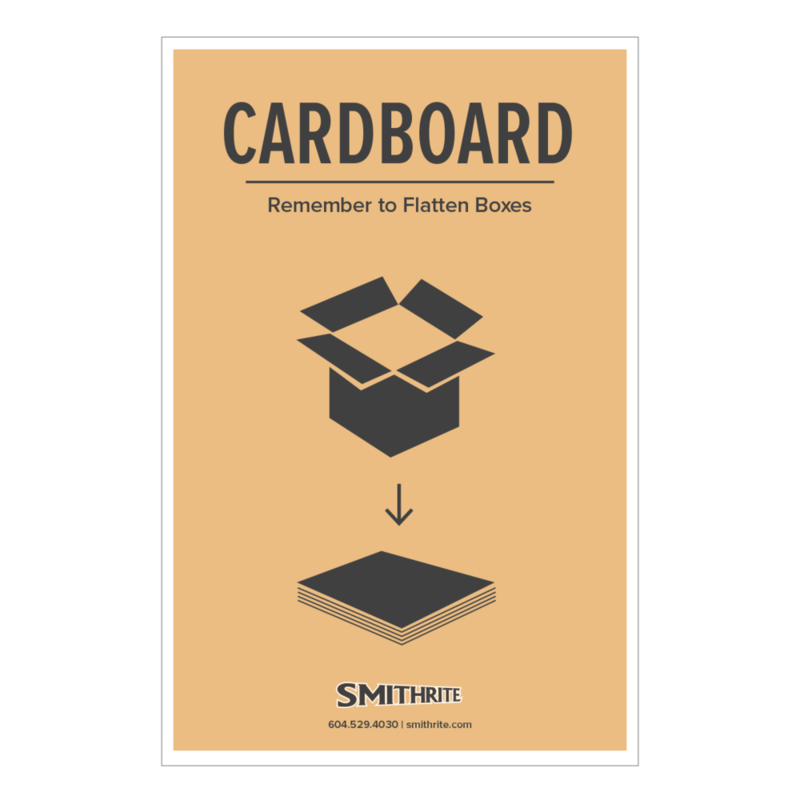 They are available to our customers in printed and digital formats. Below you will find a reference of the most common recycling streams available, according to RecycleBC guidelines. Please note that there might be variations depending on your location. Can I use liners in my organics bin? 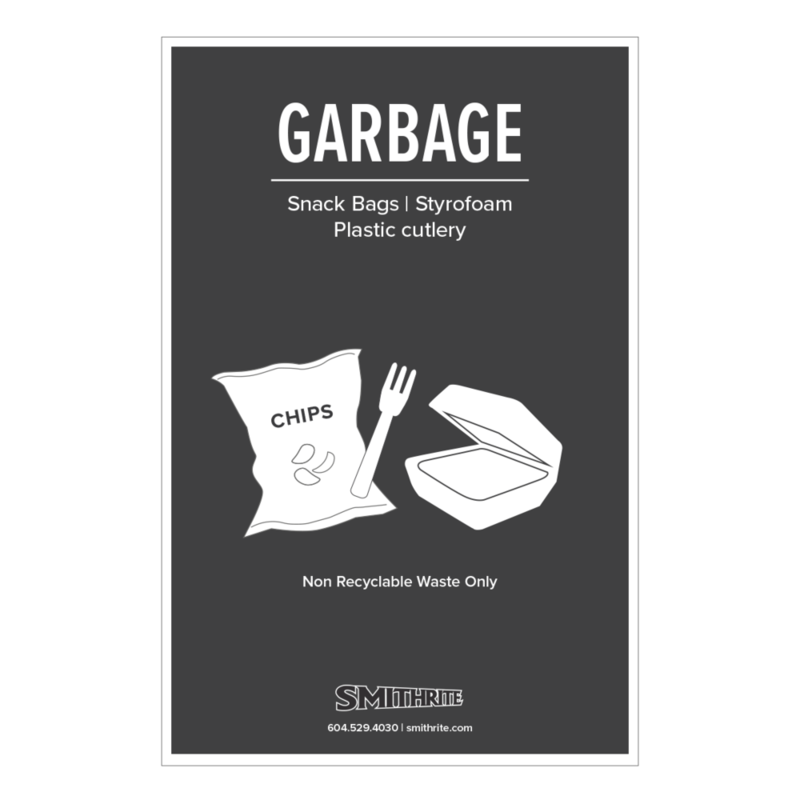 Paper liners and BPI certified bags can be used in the organics bin. If you are in doubt, please contact us and we will gladly assist you. Plastic bags or overwrap are not accepted. Is there a different item that you would like to recycle? If you would like to dispose of a material that isn't part of one of the streams listed above, please contact our customer service team and we will find a solution for you.